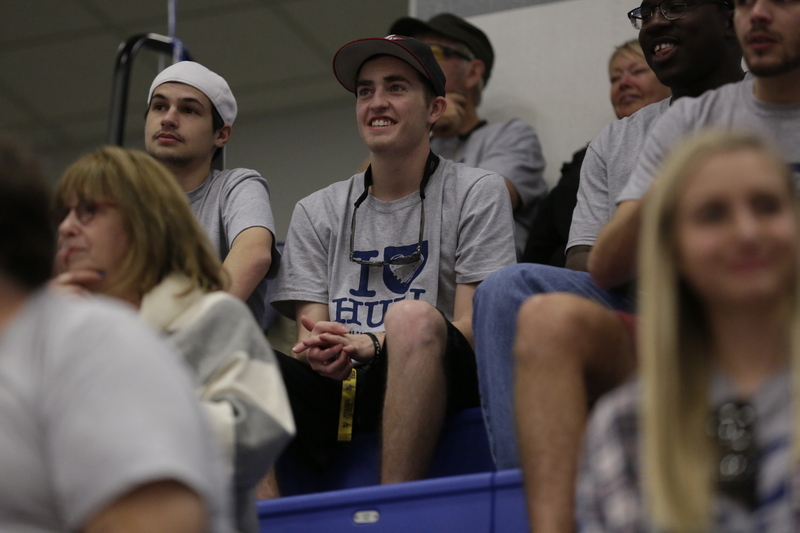 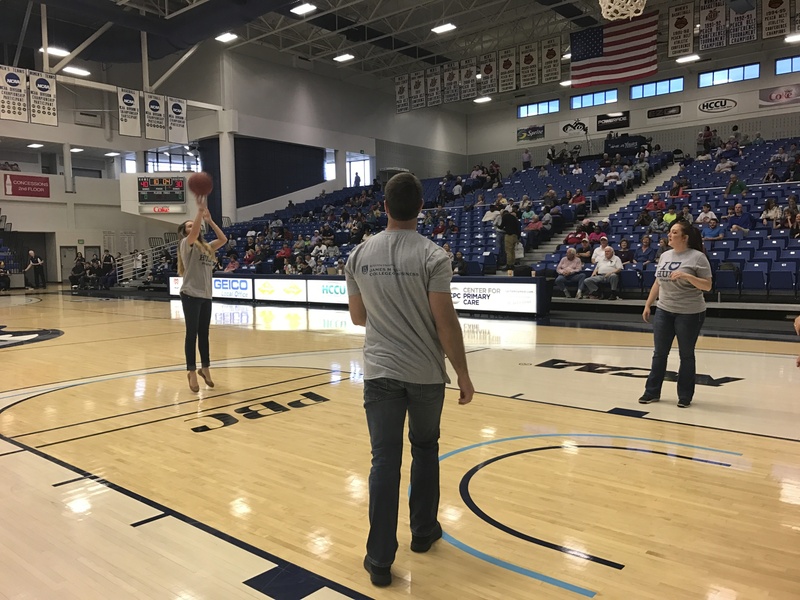 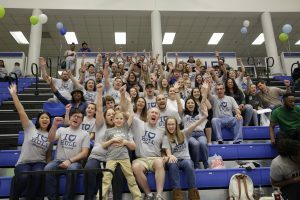 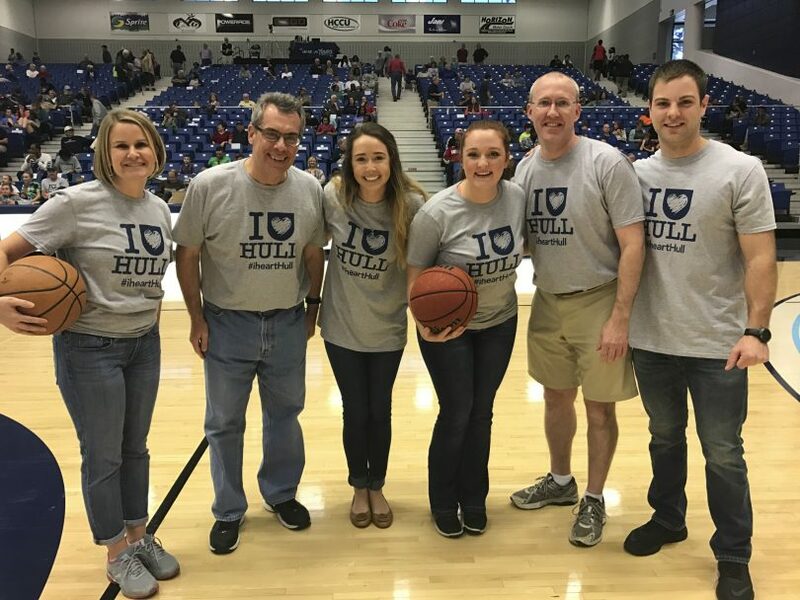 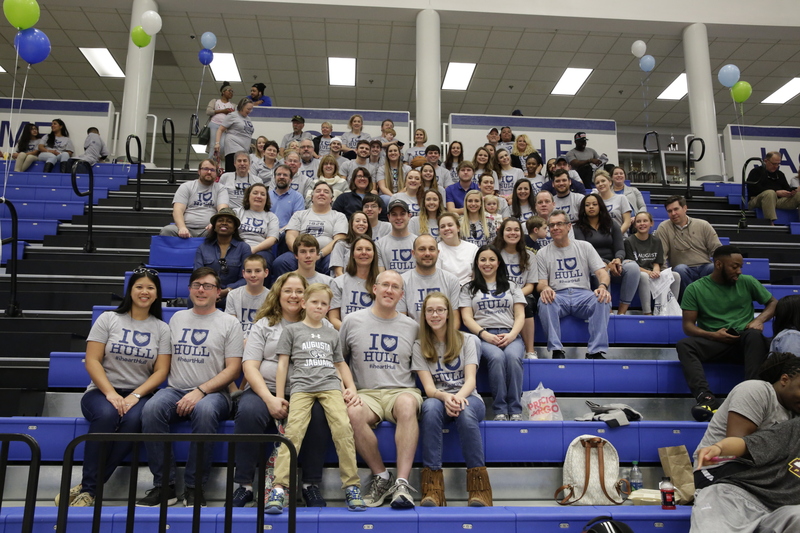 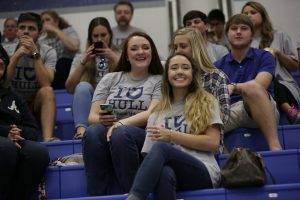 On Saturday, February 11, the Hull College of Business welcomed faculty, staff, students and friends for a fun day cheering on the Jaguars. 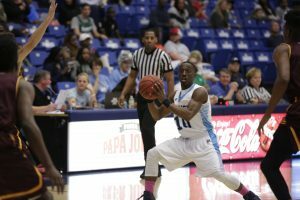 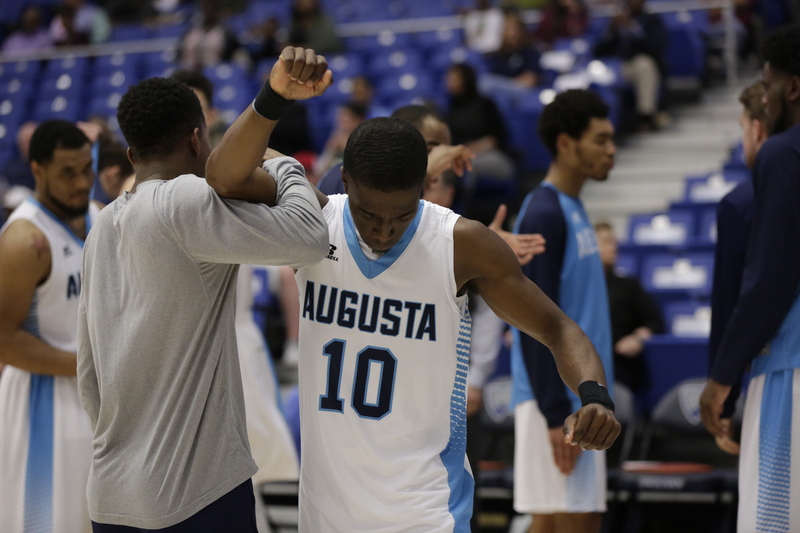 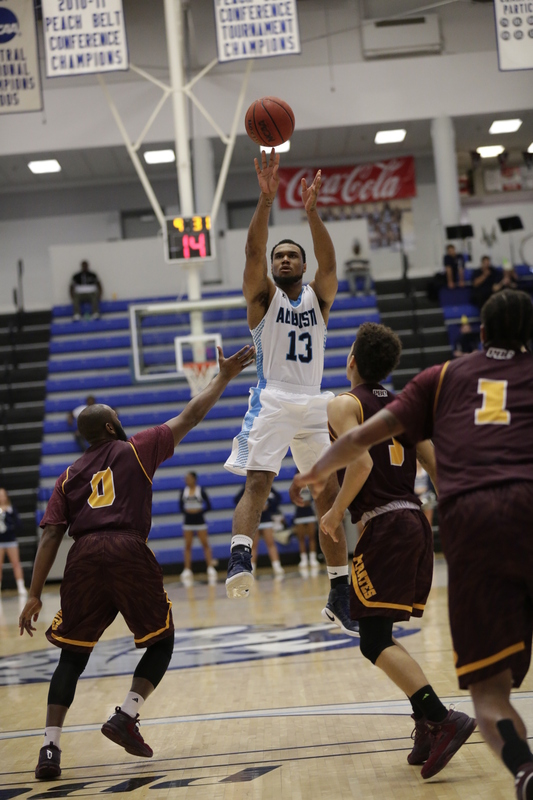 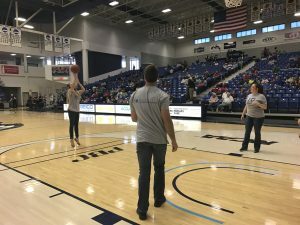 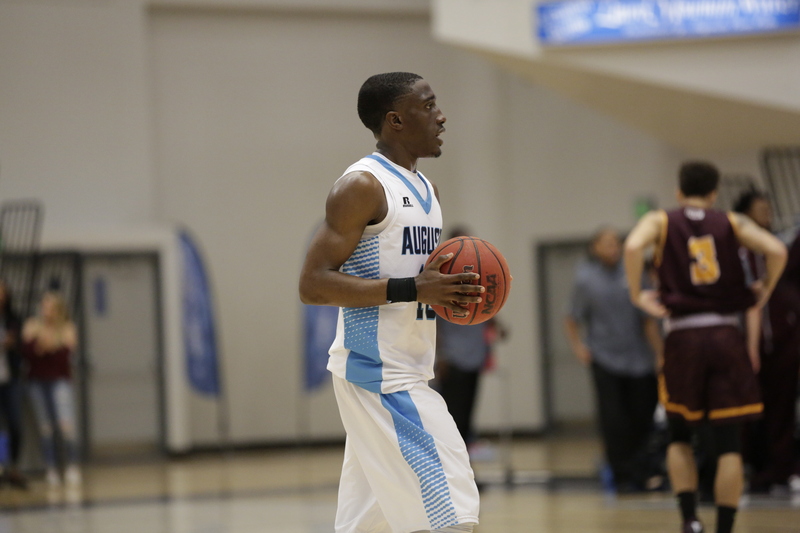 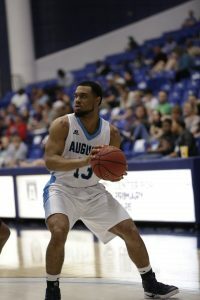 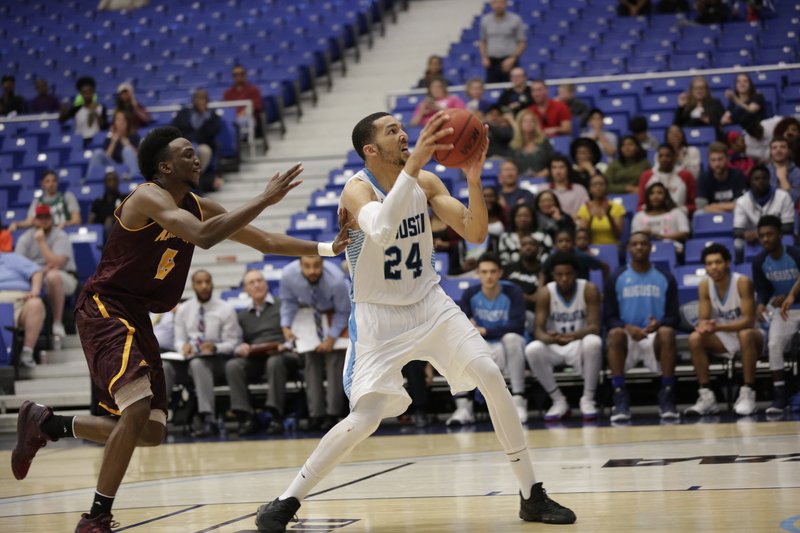 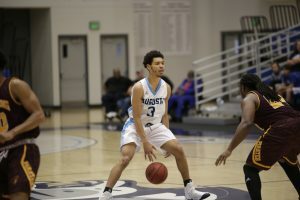 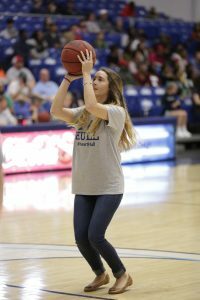 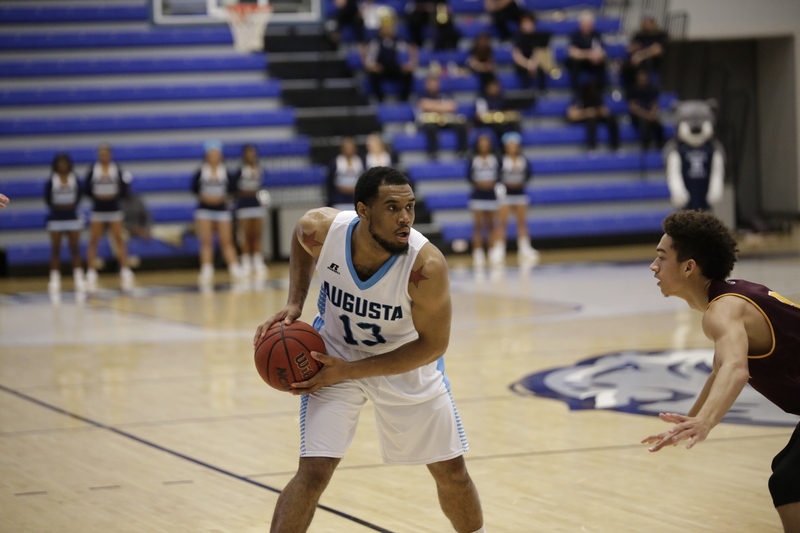 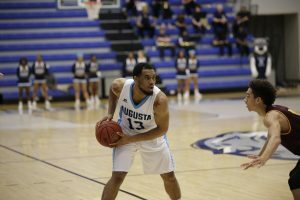 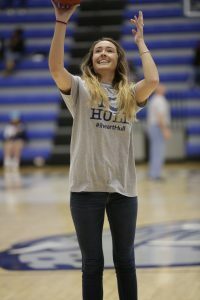 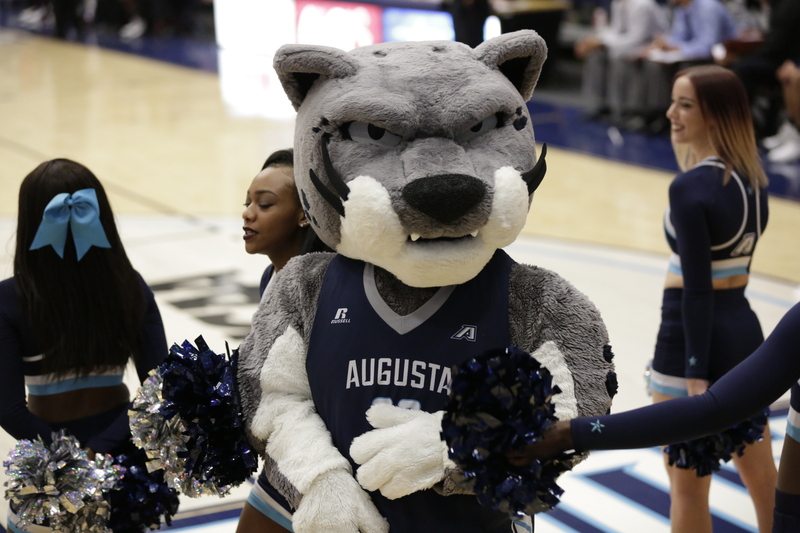 The Augusta University men’s and women’s basketball teams hosted the Armstrong State Pirates for a Peach Belt Conference doubleheader in Christenberry Fieldhouse. 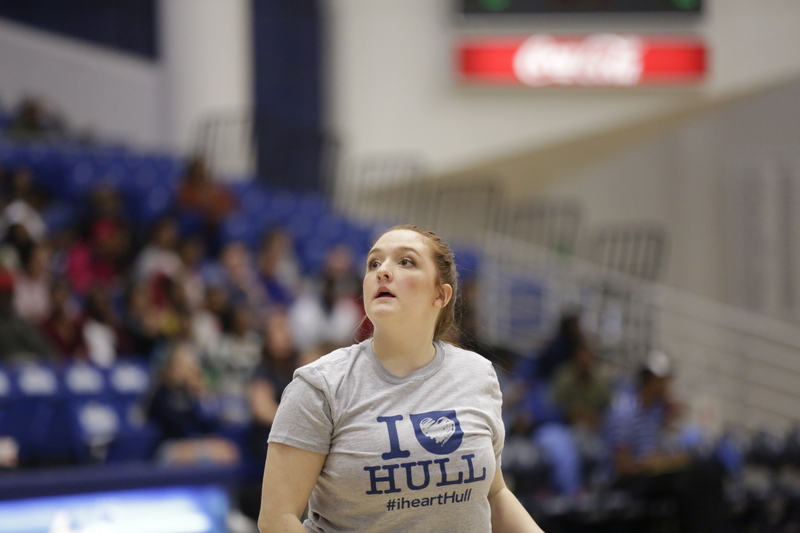 The Jaguars did not disappoint and claimed victory for both games! 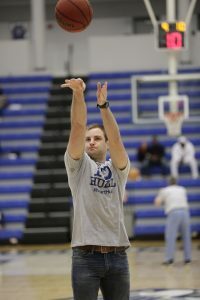 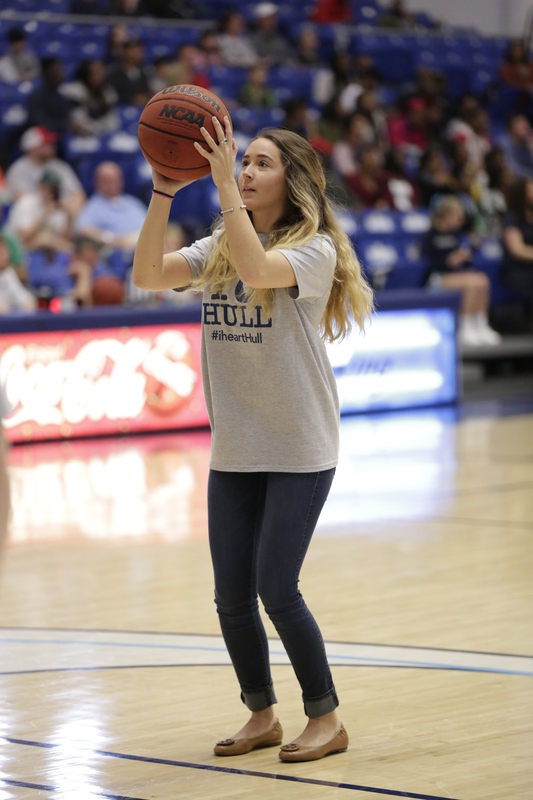 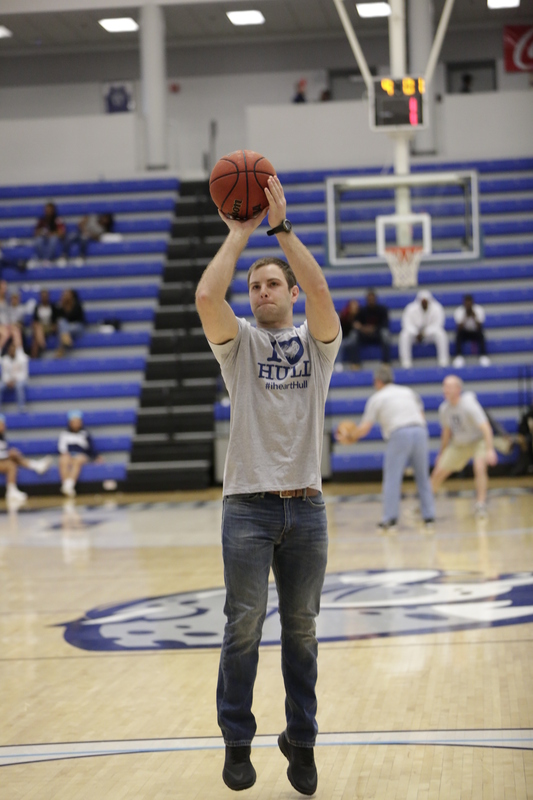 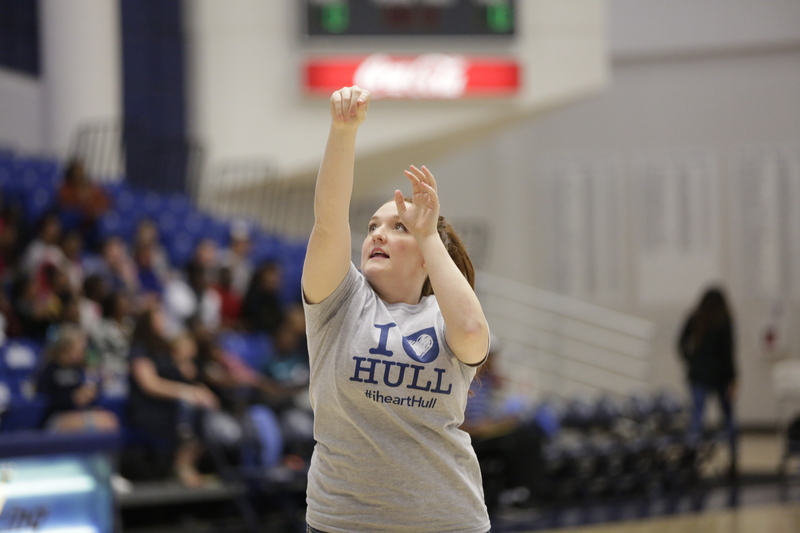 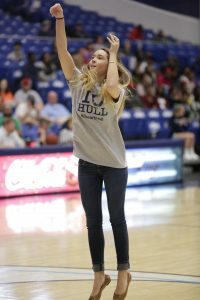 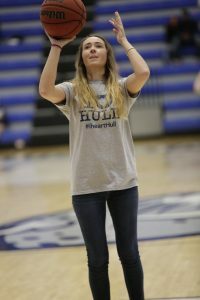 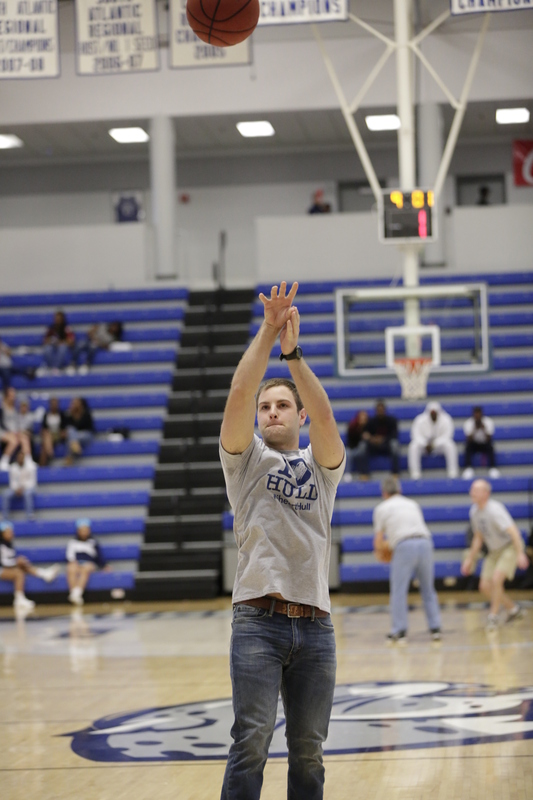 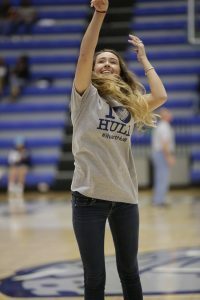 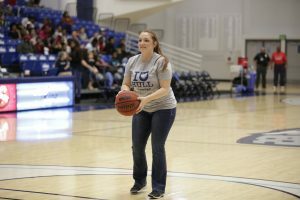 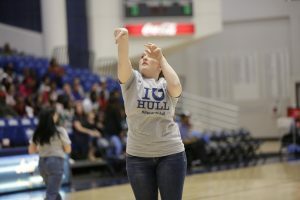 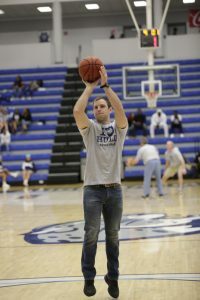 During the men’s halftime, the Hull College hosted a game of their own. 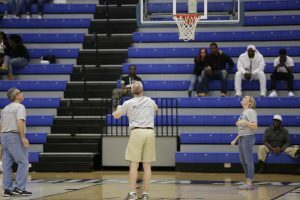 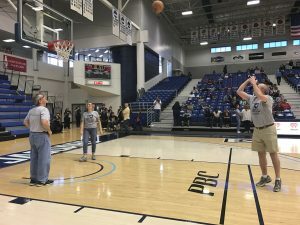 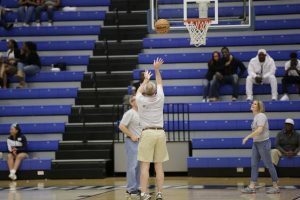 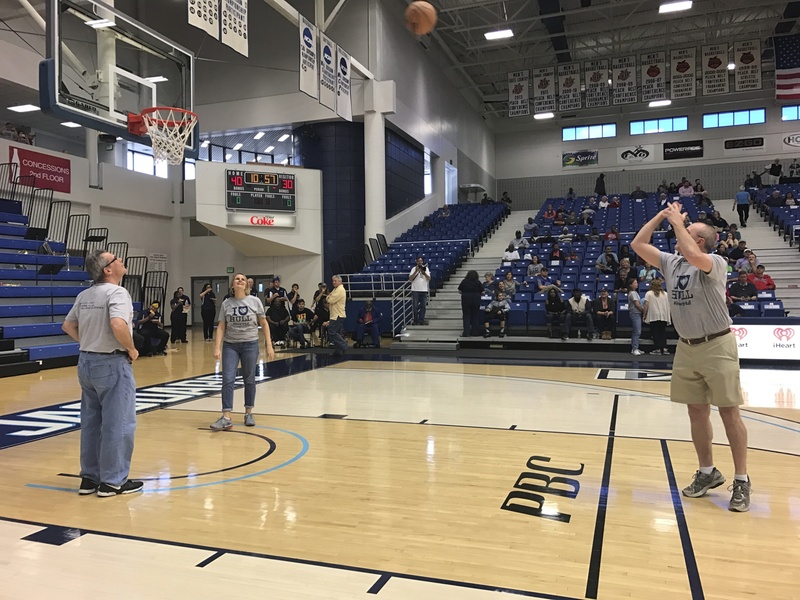 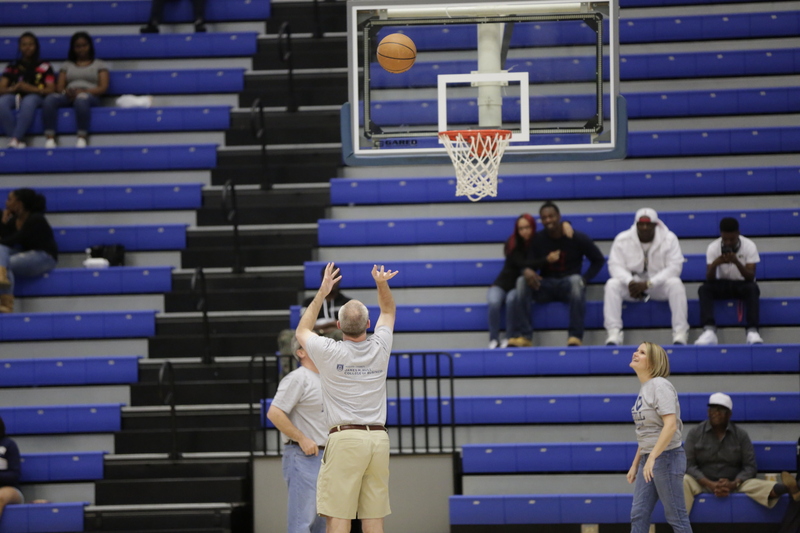 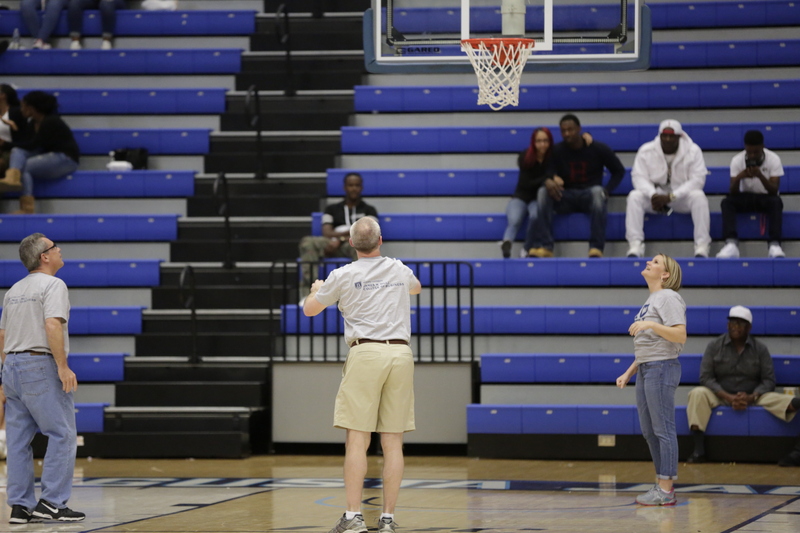 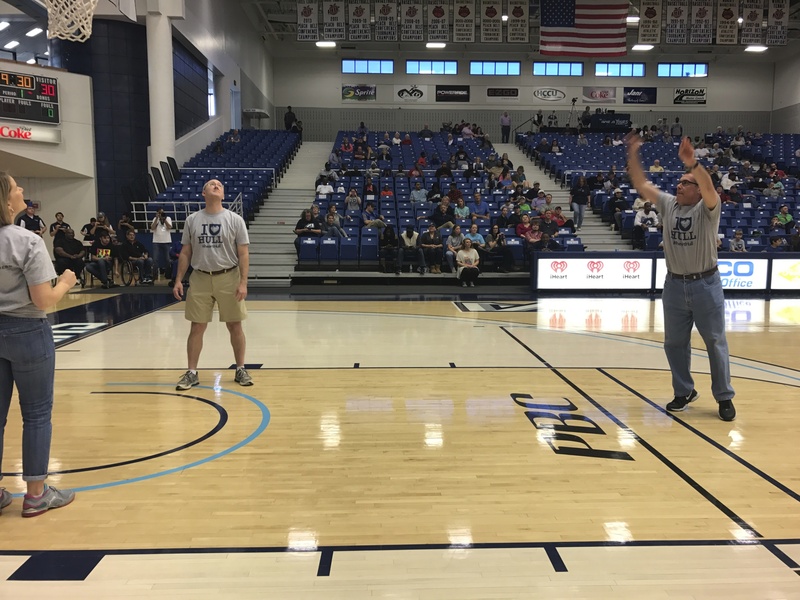 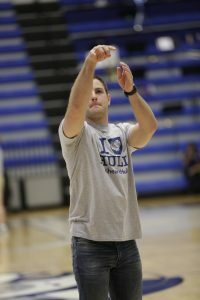 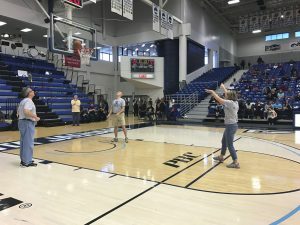 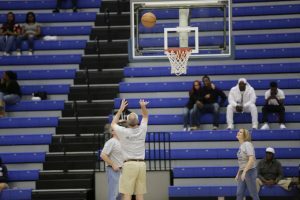 The “Dean Team” comprised of Dean Rick Franza, Associate Dean Mark Thompson and Assistant Dean Melissa Furman competed in a free throw contest against the “Student Team” comprised of Sam Cummings and J.T. 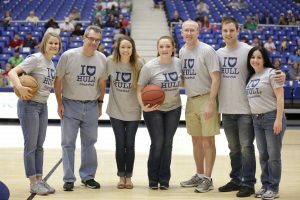 Powell , both Senior Management majors, and Abigail Paul, a Junior Marketing major. 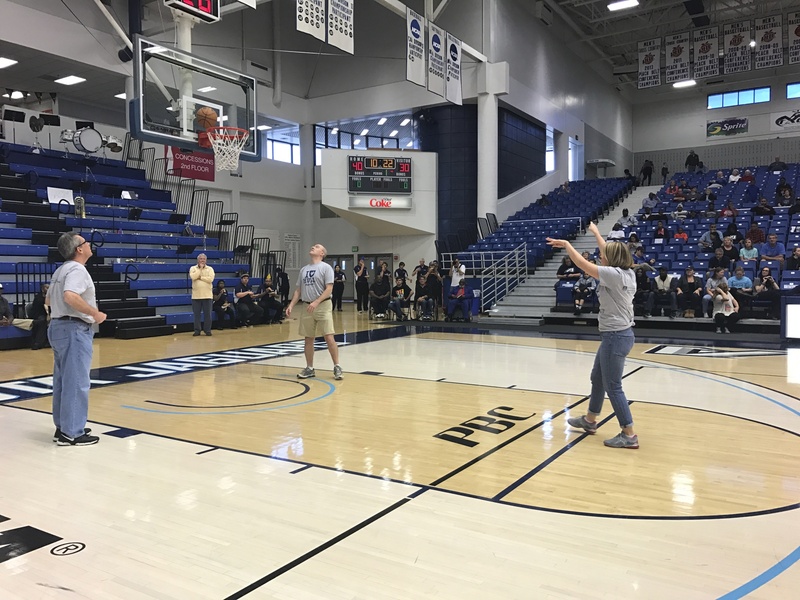 The “Student Team”, with the increasing pressure of the Deans controlling the fate of their college career won by an ever so “exponential” margin but a good time was had by all! 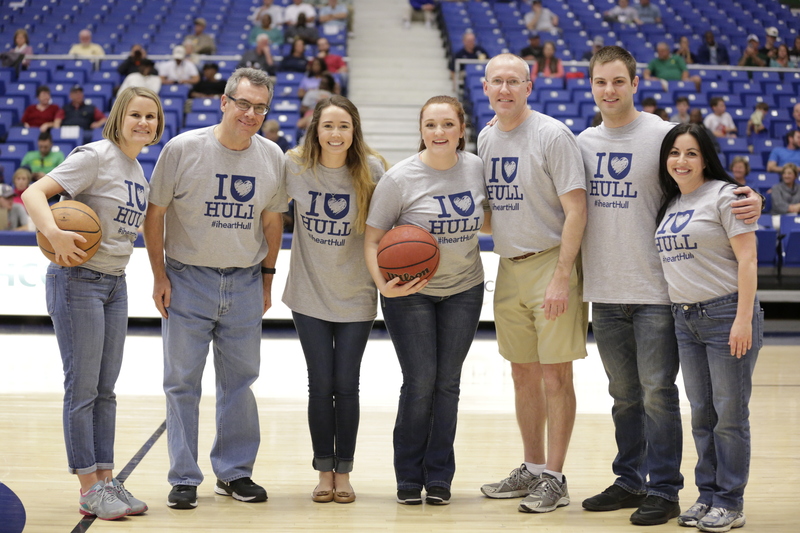 The “Dean Team”, contesting that they did not lose but ran out of time, awarded the students with Hull Swag Bags and congratulated them on their win. 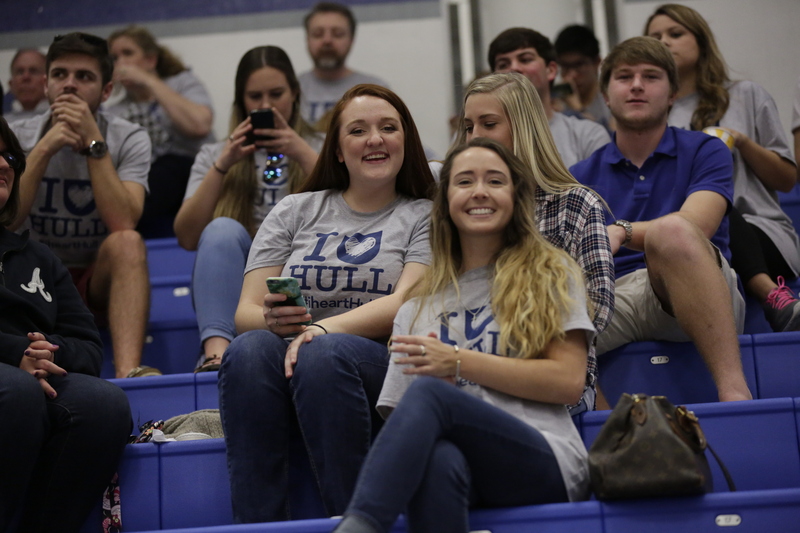 The Hull College of Business consists of 35 full-time faculty and 15 part-time faculty who facilitate highly-engaged learning environments for over 800 students through multiple quality business and technology programs. 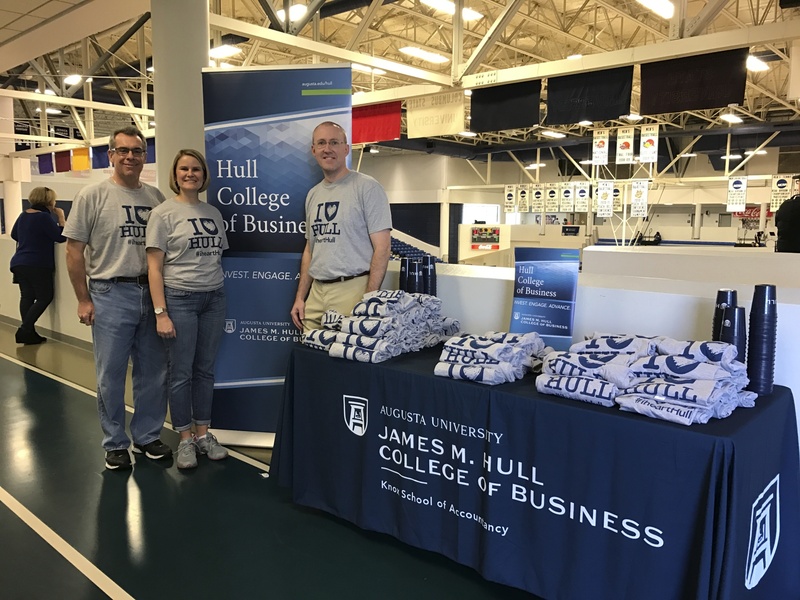 The Hull College of Business is accredited by AACSB international of which less than 10 percent of the business schools in the world hold this prestigious accreditation! 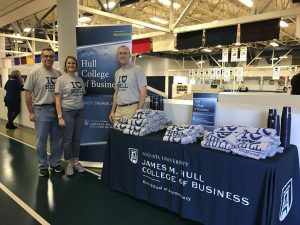 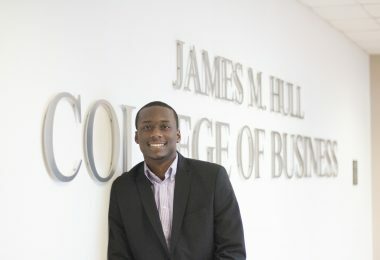 In addition, the Hull College has also been recognized among the Best Business Schools in America by the Princeton Review and the MBA program was recently ranked as one of the Most Affordable Programs in the country.